One of the great things about working at Petswelcome is “discovering” an up-and-coming pet-friendly hotel chain that understands not only the needs of travelers and their pets but, more importantly, delivers on that understanding in spades. Not that pet friendly My Place Hotels needs to be discovered—they opened their first property in 2012—but their phenomenal growth (they now have 41 hotels in 20 states with 40 more on the way) attests to the fact that they’re doing something right and are on track to becoming one of the leading pet friendly chains in very short order. Their philosophy is simple: to offer modern amenities at an affordable price. And while that may sound like a standard approach, My Place is actually doing innovative things that live up to that philosophy, and separate their brand from the rest of the pack. They understand that travelers now have different requirements and needs than they did in the past, and they’ve set out to address those needs in unique ways. 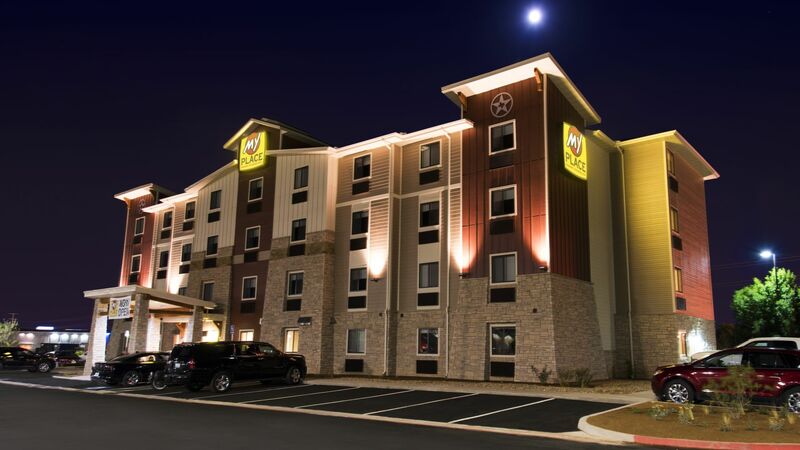 First, My Place is both a short-term and extended-stay hotel, meaning you can stay just one night or for a month or more, and your needs will be equally met. The standard approach used by other chains was to separate short-term and extended stays into different brands, but My Stay knows that by providing the modern traveler with the right amenities and choices, they can meet all your needs no matter how long you stay. My Store is always well stocked to meet your every need. And provide the right amenities, they do. First, their pet policy is awesome. You can have two pets (dogs or cats) per room up to 80 lbs. each with a pet fee of just $10 per night, not to exceed $50 per week or $100 monthly. We like that. 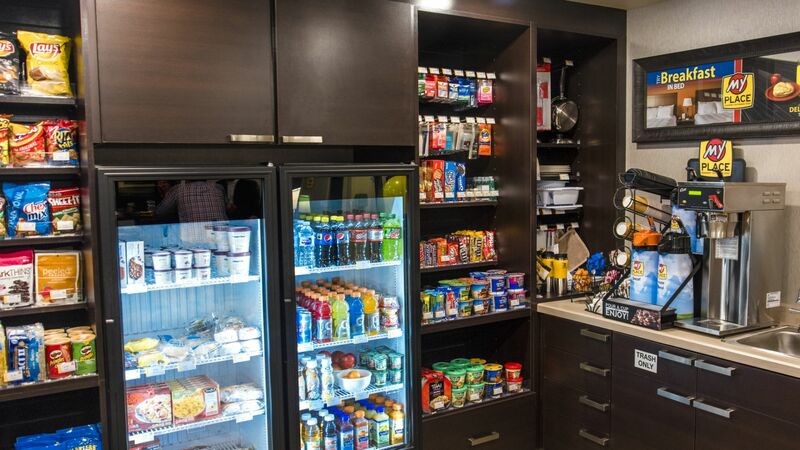 They also have a My Store at each property, which provides plenty of food, beverages and snacks, as well as dinnerware, pots and pans to use in the kitchens that are in every room, including a refrigerator/freezer, microwave, 2-burner cooktop and sink. How convenient is that? Whether it’s delicious leftovers, take out, or ingredients for your favorite homecooked meal, My Place can help you make it happen. 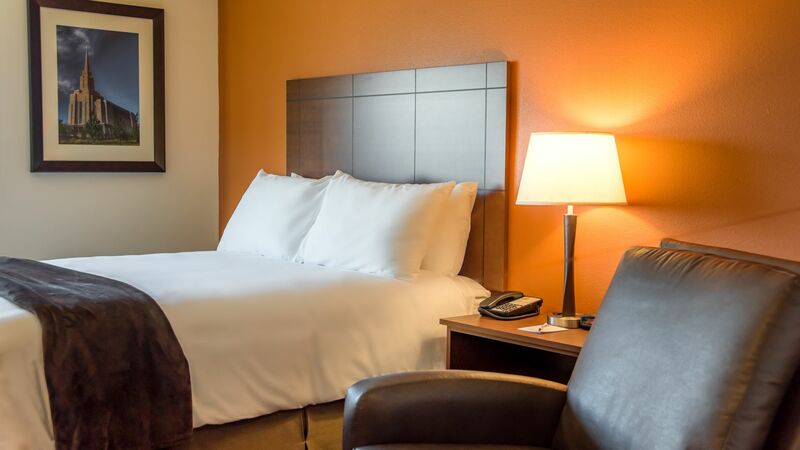 There is also a 37-inch flat screen TV with premium cable in each room, as well as free WiFi and wired internet. And, if that’s not enough, check out My Lounge, a great place to relax, hang with other guests if you’d like, have a cup of coffee and/or use their 24-hour business center. 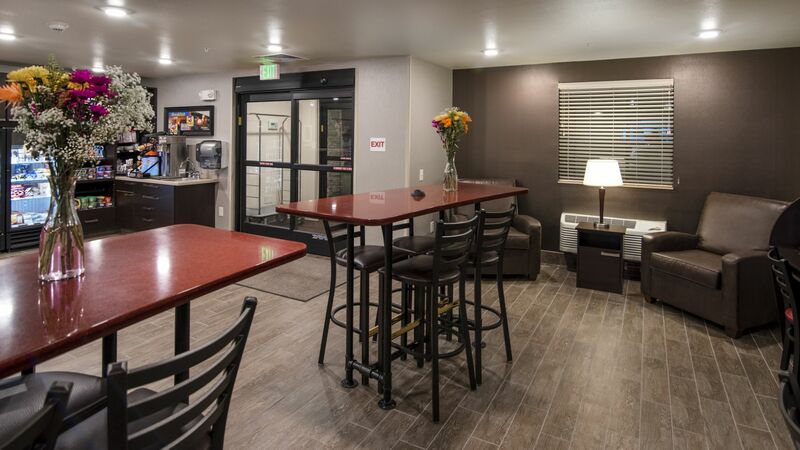 We really love the way My Place mixes public and private spaces to meet all your travel needs. My Lounge is a great place to relax and mix with other guests. Further amenities include guest laundry, options for daily housekeeping and—in select locations—grill pavilions for cookouts and a Breakfast In Bed plan that allows you to select a custom pre-packaged breakfast at check-in that will be delivered to your refrigerator each day at a minimal cost. From pet-friendliness to myriad services, conveniences and facilities that allow you to live like a local while exploring a brand new destination, My Place is definitely The Place to visit on your next trip with your pet.